Big George Hincapie with wheel suckers behind him. 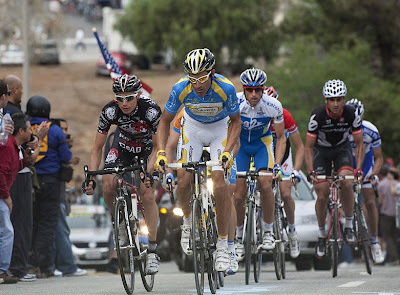 A brave lead by Rinaldo Nocentoni of team AG2R LANCE! 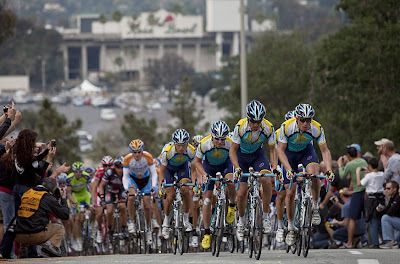 The 2009 Amgen Tour of California rolled through Pasadena today with many of the world's greatest bicycle riders racing to win. 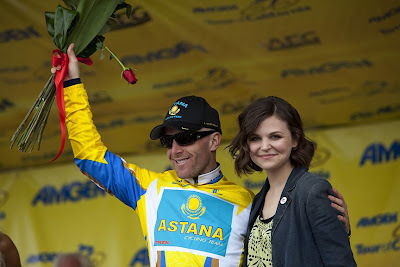 Lance Armstrong and Levi Leipheimer of team Astana stayed together to keep Levi as the tour leader. An amazing break away by Rinaldo Nocentini of Team AG2R earned him a heroic stage win at the finish line nipping Hayden Roulston of Cervelo Test Team. Many of the fans were cheering for last years stage winner, Big George Hincapie of team Columbia High-Road, to win, but he had his hand full with several riders sucking his wheel and keeping him away from a win. 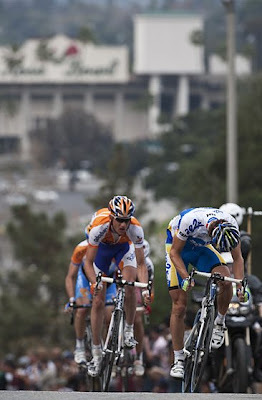 Hincapie came in 7th place. 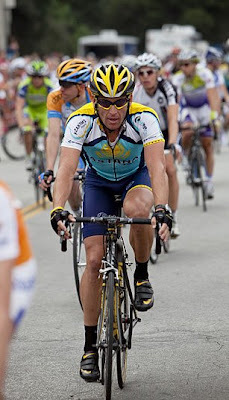 Lance Armstrong came in 44th place today.